John Ngare is a 75 year-old retiree with a big heart. At his age, one might expect that he would be relaxing and enjoying the fruits of his labour, but that’s not the case. 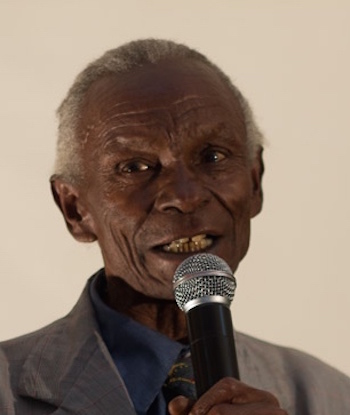 Ngare has decided to enjoy his old age by helping the children in his area get an education and a better future. Together with parents, he has leased a school-space so that local children can attend pre-unit and lower primary classes that would otherwise be unavailable to them. Ngare, an experienced teacher, uses his retirement funds to run the school. He teaches as a volunteer. The funds are used to buy food, stationery, exams and other necessities for the children. It’s been a difficult task for Ngare but his passion to see children get an education keeps him stretching to his limits to provide for and educate the children. Giraffe Heroes Kenya wishes to recognize John Ngare for ‘sticking out his neck’ for the common good and his desire to lighten the loads, strengthen the hearts, and improve the lives of those in his circle of influence.